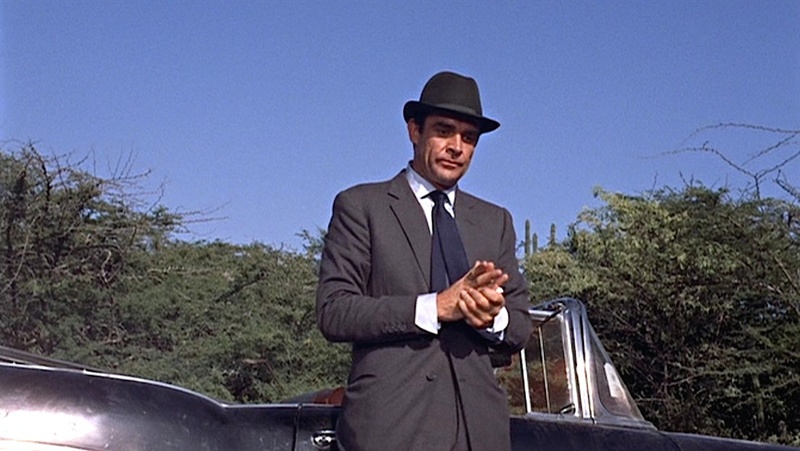 Here we see Mr Craig in his Panama, neatly referencing the brown trilby worn by Sean Connery in Dr No in 1962, proving that style is timeless. He says: “If you don’t get bruised playing Bond, you’re not doing it properly”. We say: The blue trunks are a difficult look to master, so smoulder from beneath a Borges and Scott Trilby Panama and imagine the family car is an Aston Martin DB5.